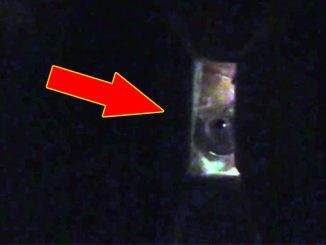 Some Really Creepy Things Have Been Caught on Live Stream! From a ghost seen on a live stream by Ninja to a gamer’s chair that moves all by itself, we look at the scariest things caught by Twitch streamers. In 2018, Jake Dufner was live streaming himself playing Fortnite when a series of very creepy things began to happen. Not long after he starts the stream, the door behind him appears to open all by itself. A few minutes later, the door closes then re-opens once again. Dufner continues to play, seemingly oblivious to what is happening behind him. Suddenly, the chair in the background begins to move. Then the door slams shut. This time it does so with enough force that Dufner hears it. He immediately turns to see what happened. However, he appears to be unconcerned and quickly returns to the game. Someone in the chat tries to warn him of what is happening by typing ‘Jake, the chair shifted to the left. Did anyone else see that?’ Dufner turns briefly but appears to pay little attention to the comment. The door continues to open and shut as the fans on chat keep trying to inform Dufner about what is happening behind him. One writes ‘Dude! What the hell? Your house is haunted!’ ‘It’s open Jake. Please look!’ Again, Dufner turns to take a quick look but then says that he’s pretty sure that the door has been open the whole time. Suddenly, the chair begins to slide right out the door! Concerned, Dufner finally gets up to investigate. Shortly after, he returns and asks the fans if they saw anyone else in his room while he was playing? Again, he checks the comments. 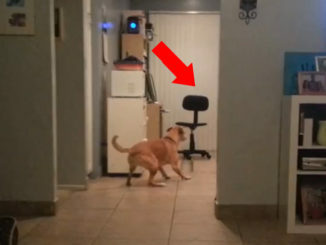 Someone is now claiming to have seen a cloudy figure near the door. Dufner becomes increasingly nervous as he leaves the room once more to see if there is anyone else in the house. In the background you can hear him calling out but there is no answer. 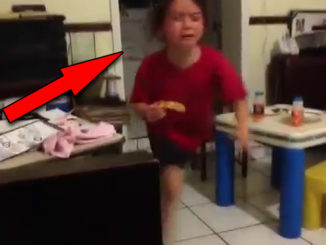 Suddenly, he returns saying that he is home alone and that he doesn’t know what is going on. The video then cuts as a scared Dufner abruptly ends the stream. In this clip, streamer MangaMiyn, gets seriously spooked by some sort of strange light that appears to be floating behind him. He spots the strange orb on camera and quickly turns to see what it is, only to discover that there is actually nothing there. The fact that the streamer appears to be genuinely startled by the strange shape has some viewers believing that this might actually be a genuine encounter with something supernatural. Others however, have pointed out that the orb might be little more than a speck of dust that has landed briefly on the lens of the camera. What do you think this mysterious shape could be? 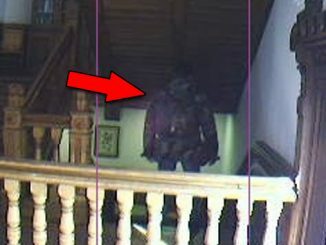 Is it proof of the paranormal or is there another explanation for what MangaMiyn has captured on camera? In 2016, Twitch streamer SirGaryTube was playing Pokemon when the door behind him suddenly closed by itself. In the footage, he quickly turns to see what happened and then asks the viewers if they noticed anything strange. The streamer says that he originally thought that he was seeing things as no one in the chat mentioned anything. He continues to play the game but appears visually shaken by the incident as he repeatedly looks behind. Thinking that it could have been his roommate who shut the door, the streamer finally decides to get up and investigate. Shortly after he leaves the room, the door slowly opens itself then suddenly slams shut once more. When he returns, he checks the chat where several fans have informed him that the door opened and shut itself again after he left the room. SirGaryTube claims that his roommate was out doing laundry at the time of the incident and that there was no breeze at all coming through the open window in his room. Was the door slammed shut by some sort of paranormal force or is there a simpler explanation for this bizarre event? Let us know your thoughts in the comments section below. While minding his friend’s cat, streamer, Rubzy experienced some very scary events while playing the game, Skyrim. He had ran several streams while staying at his friend’s house but nothing particularly odd happened except for one occasion. As he talks to his friends on voice chat, a door opens behind him and then quickly slams shut. He looks visibly scared as people in the chat begin to comment on what they saw. Suddenly, a light begins to turn on and off right in front of the camera. The chat lights up as Rubzy decides to investigate. Over the course of the night, the door continues to open and close, the light flickers on and off and a box on the table even flies across the room. Rubzy’s reactions appear to be genuine. With each chilling occurrence he looks honestly startled. In a follow-up video, Rubzy talks about his experience and even decides to go back to the apartment for another stream. It’s this second stream, coupled with his explanation that makes his experience seem genuine. Rubzy says he felt awful prior to re-entering the apartment. He left it to the last minute and really did not want to go in. Shortly after setting up his equipment and going live, the door behind him opens and closes just as it had the time before. Rubzy appears noticeably shaken. In his explanation, he mentions trying to communicate with the entity. Several people in the chat suggest that he should say that he comes in peace and that he just wants to help whoever is haunting the house. At this point, Rubzy says he went completely numb. He couldn’t feel his face or hands. He even says that he blacked out for several minutes and that the last thing he remembers is coming to in front of the banging door. On the verge of tears, he apologizes to his fans and says he has to leave the house immediately. Since the incident, Rubzy has said that he will never go back to the apartment no matter what he is offered to do so. This video, uploaded to Top Extract’s YouTube channel in May, 2018, shows a clip of a supposed ghost that someone captured while watching a live stream. The Twitch streamer seen in the video is none other than legendary Fortnite player, Ninja. 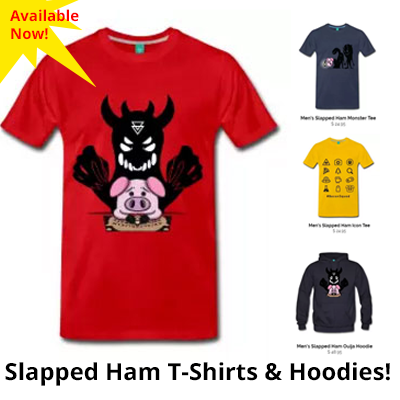 A gamer who has quickly become one of the most well known and recognizable people on the internet. In the clip, Ninja is playing Fortnite when suddenly, a strange, shadowy figure can be seen entering from the left side of the screen. It then hovers briefly, before leaving the shot. Shortly before this footage surfaced, Ninja appeared on the popular H3 podcast discussing several paranormal events that he had recently experienced. Firstly, he spoke about a time that his wife was out of town and he was home alone with his dogs. He had just finished streaming and went upstairs to go to bed. Suddenly, the downstairs sound system started to play music. Scared, he ran downstairs to investigate. He checked his computer and phone to make sure that Bluetooth was switched off then grabbed a Katana sword and continued to search the house. Freaked out, Ninja called his wife to tell her what had happened. He swears that he was sure that everything was turned off before he went to bed and to this day, is still creeped out by the event. Another time, he claims that he woke up at exactly 3 am in the morning and smelt a strange odor in his house. He says that he felt as though something was staring at him and that he has never been more scared in his life. After the incident, he wasn’t able to get back to sleep for three hours. 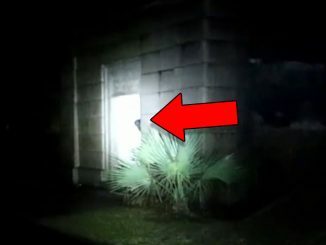 Could it be possible then that the video posted to Top Extract’s YouTube channel has actually captured proof of the entity that has been haunting Ninja? Immediately after the footage was released, fans began offering their opinions on the mysterious, dark shape. 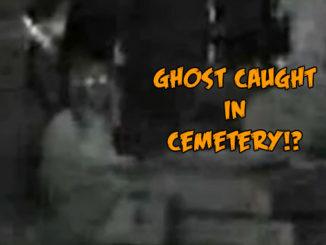 Many felt that the clip did indeed show a ghost as it didn’t appear to have been staged in any way. 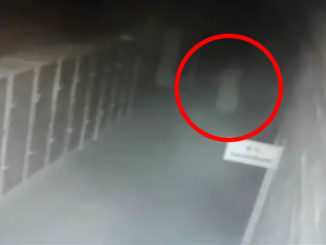 If the footage really has captured a paranormal entity, is it the same one that supposedly turned on Ninja’s stereo in the middle of the night? Let us know your thoughts in the comments section below.